The documentary project I am currently working on is called The Sambla Baan, and it was filmed during my fieldwork in Burkina Faso in 2011-2012. The film will take its name from the baan, which is one of the most important identity markers among the Sambla of Burkina Faso. It is a xylophone with gourd resonators, characteristically played by three musicians at the same time, with interlocking parts. It is omnipresent in the daily soundscape of Sambla villages, playing at rituals, parties, celebrations, and even during farming. 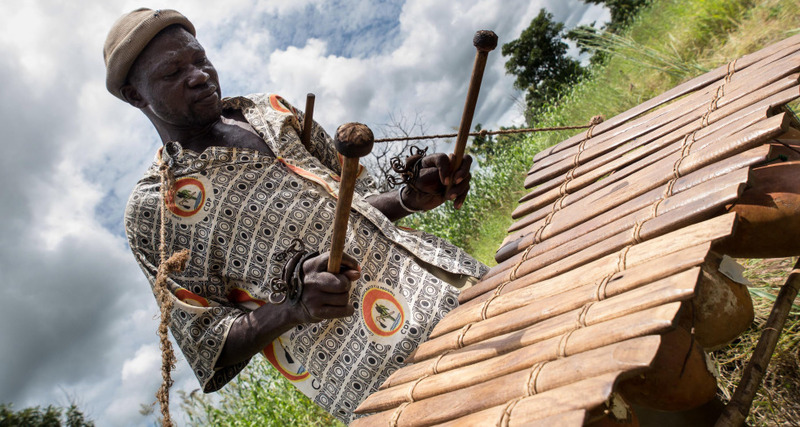 One of its most remarkable characteristic is the ability to speak, or in other words to communicate messages through melodies, somehow following the tonal flow of the Sambla language (Seenku). In collaboration with Nicola Scaldaferri and the LEAV – Ethnomusicology and Visual Anthropology Lab at the University of Milan, I filmed footage that will be added to Nicola’s audio recordings and research to make a feature-length documentary film. The filming saw the collaboration of the Konaté and Traoré families of musicians in Karankasso Sambla, who opened their musical knowledge to the filmmakers. Many hours of music recordings were also realised, and a CD will accompany the film once released. The music of the baan will be accompanied by the other instruments of the Sambla musical tradition and by the soundscape of the village, especially the rhythmic sounds of work. An extended trailer is available below, including a bundle of downloads of music, photos and video.